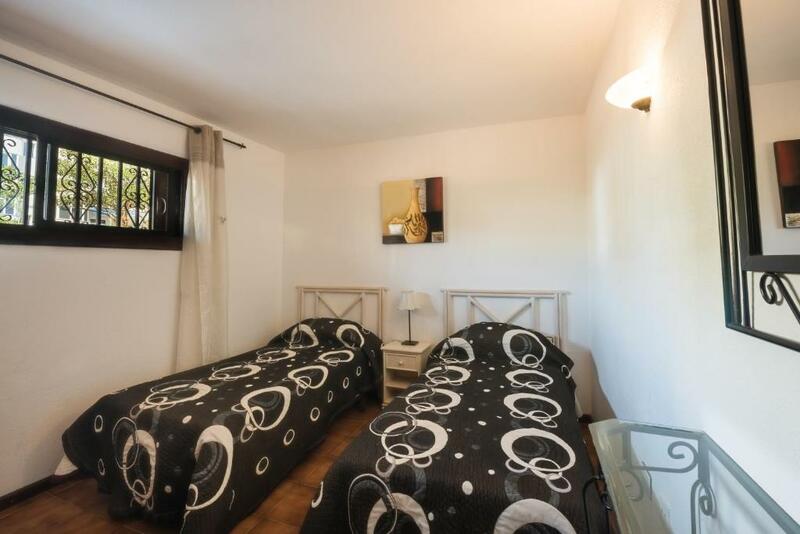 The location is very good, the apartment (T3) was also very spacious with a nice balcony. Good location and very friendly staff. Not terrific value for money as they charge for things most hotels would offer for free such as a fan for your room, daily charge for use of the loungers at the pool, fresh towels, non refundable deposit on your room safe, changing of your bed sheets, towels etc. We stayed there for 10 days and our sheets weren’t changed once. Pleasant stay overall but wouldn’t be in a hurry back. Location, nice and quiet but within small walking distance of all bar / restaurants, etc. The apartment was clean and comfortable and the balcony was a great size too. We especially liked the swimming pool. It's only 5 mins walking distance to the beach. Staff were lovely, great location, great food. Great apartment! Took my other half away for his bday, will definitely be booking again with this place highly recommend! Very clean , very good staff , wonderful holiday. The size of the apartments /rooms are fab and we had the added bonus of having a balcony with a split terrace and sunbeds. 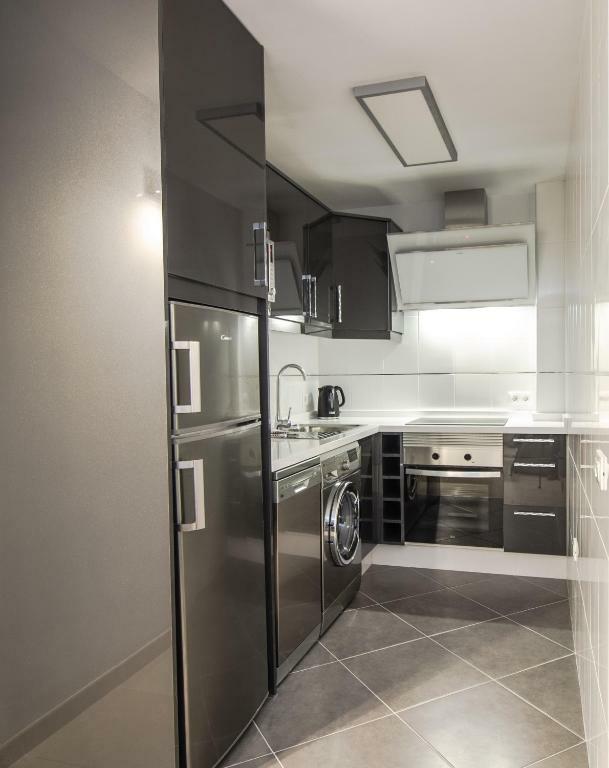 Apartments are just like on the photos - nice terrace, big rooms, kitchen with everything you might need. One of the reasons we've chosen this apartment - available parking, and there really were no problems with that. Lock in a great price for Paloma Beach Apartments – rated 8.2 by recent guests! Paloma Beach Apartments This rating is a reflection of how the property compares to the industry standard when it comes to price, facilities and services available. It's based on a self-evaluation by the property. Use this rating to help choose your stay! 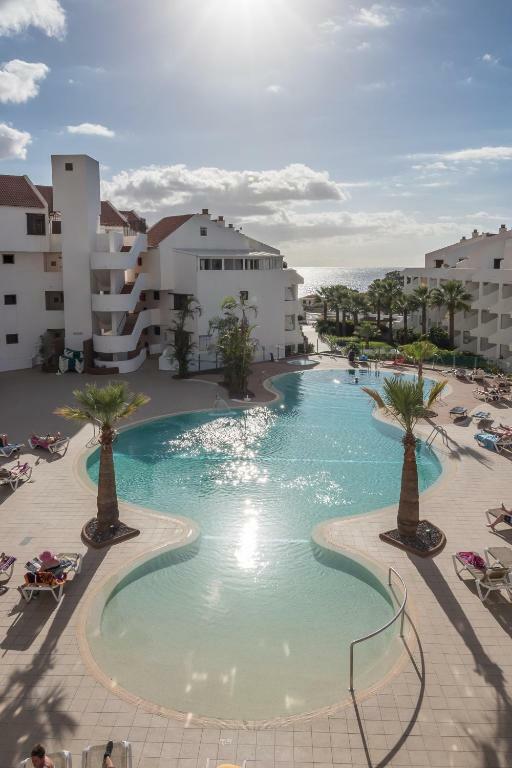 One of our top picks in Los Cristianos.Set 650 feet from the sea, Paloma Beach Apartments features a stunning pool area with with a hot tub and a heated swimming pool. The modern apartments have a private balcony, flat-screen satellite TV, and free WiFi. 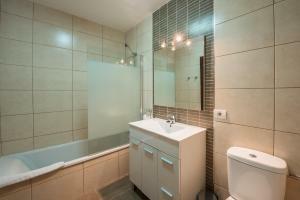 Each apartment comes with a private bathroom, and a living room with a comfortable sofa bed. The dining area and well-equipped kitchenette include a fridge, microwave and kettle. Apartments offer views of the pool, gardens or surrounding mountains. There is a poolside snack bar and a selection of bars and restaurants on-site. Two supermarkets are within 350 feet of the apartments and the town center is 10 minutes’ walk away. Free Wi-Fi is available at the reception and all apartments. An airport shuttle service can be requested for an extra charge. There is also an on-site children's playground and an outdoor exercise area for adults. Currency exchange and car hire is offered at the tour desk, and there is free parking nearby. Las Americas Golf Course is a 10-minute drive away, and you can walk to Los Cristianos Beach in around 15 minutes. When would you like to stay at Paloma Beach Apartments? 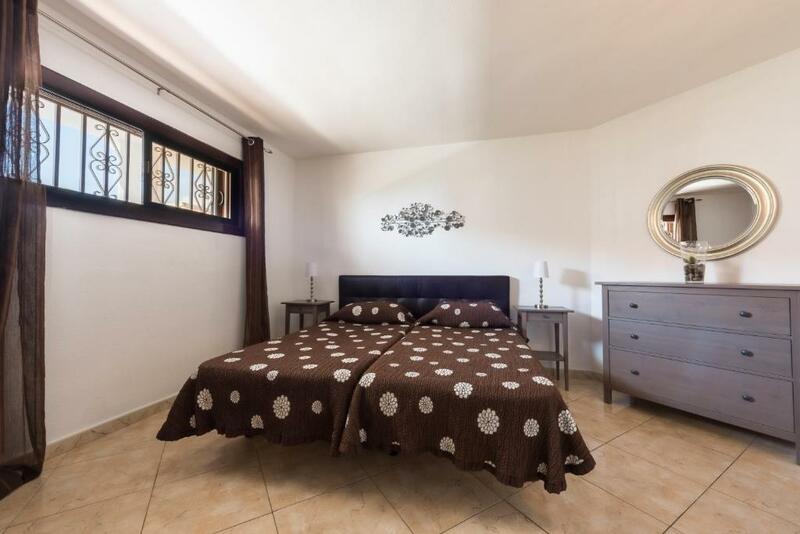 This apartment features a double or twin bedroom and a private balcony. There is a lounge with a sofa bed, flat-screen satellite TV and DVD player. The kitchen includes a fridge, oven, hob, toaster, microwave and kettle. Apartments offer views of the pool, gardens or surrounding mountains (please inform about your preference -subject to availability- in the comment box). 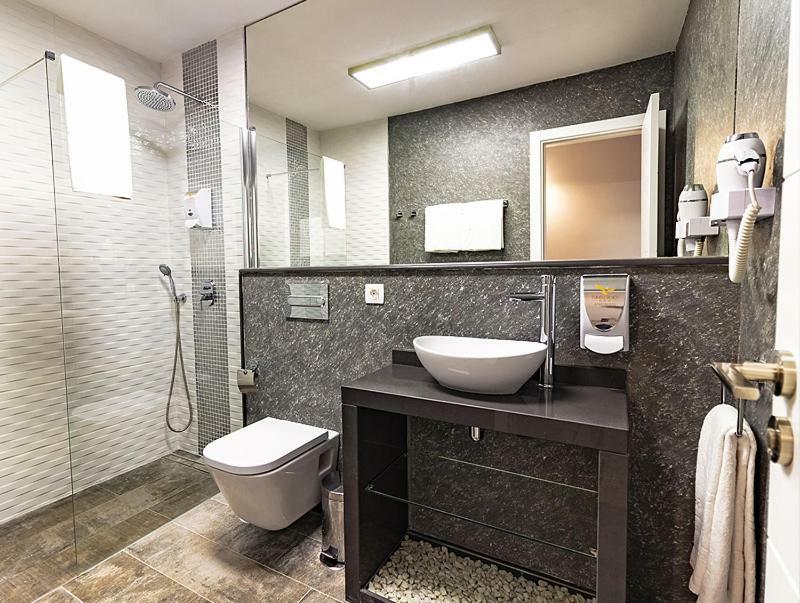 This modern apartment features a double bedroom, a twin bedroom and a private balcony. There is a lounge with a sofa bed, flat-screen satellite TV and DVD player. The kitchenette includes a fridge, microwave and kettle. Apartments offer views of the pool, gardens or surrounding mountains. (please inform about your preference -subject to availability- in the comment box). This bright 2-bedroom penthouse apartment is located on the top floor of the complex and offer sea or pool views. They include 2 balconies and 2 bathrooms. Please note that in order to enter the second bedroom guests must pass through the main bedroom or the balcony. This modern apartment features air conditioning in the bedroom and a furbished terrace. It offers sofas with a dining area and a large flat-screen TV. Free WiFi is available throughout. 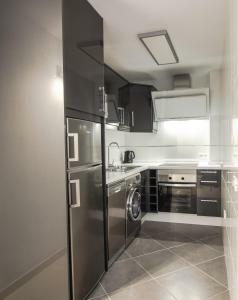 The kitchen is equipped with a fridge, hob, oven, microwave, kettle, toaster and kitchenware. There are a double bed or twin beds in the bedroom. There are views of either the swimming pool, sea or garden. You can use the Special Request box to request your preferred view. 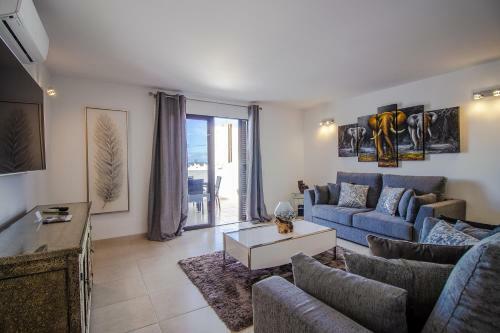 Located on the top floor, this apartment features a private balcony with sun loungers and views of the sea or the pool. It comes with 1 double bed or 2 single beds, and there is 1 bathroom. There is a lounge with a sofa bed, flat-screen satellite TV and DVD player. The kitchen includes a fridge, oven, hob, toaster, microwave and kettle. Originally my parents business and now a joint venture between the three of us, although they are now both retired. We built the business up from nothing to what it is today. We pride ourselves on maintaining the same staff year in year out giving the complex a friendly and familiar feel. We regularly update the facilities and always try to move with the times. 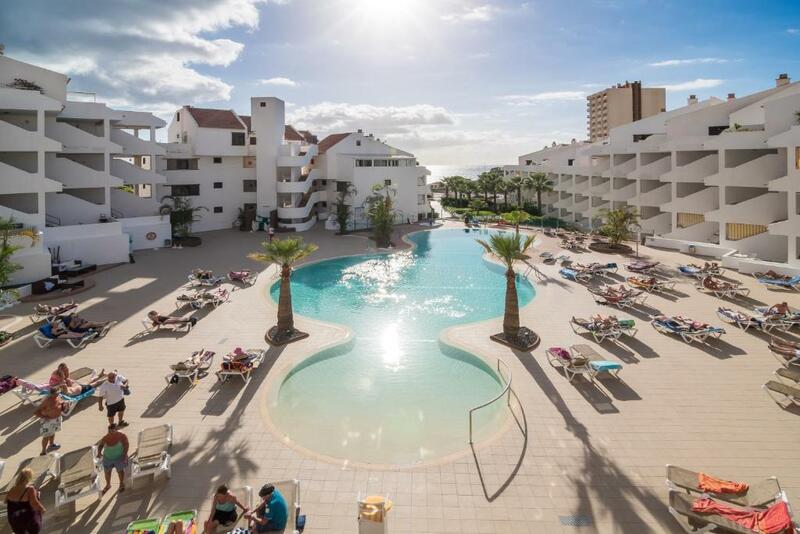 Paloma Beach Apartments is in a great spot in Los Cristianos, close enough to the action, yet far enough away to enjoy tranquility. House Rules Paloma Beach Apartments takes special requests – add in the next step! Paloma Beach Apartments accepts these cards and reserves the right to temporarily hold an amount prior to arrival. Please note that towels are changed every 2 to 3 days, and bed linen is changed weekly. Extra change of bed linen and towels is available for a surcharge. Rubbish is removed on the towel and bed linen change day. Please note that daily cleaning is not provided. It is available at an extra charge. There is a daily charge of 2 euros for sunbeds and sunshades. Please note that portable air conditioning units are available on request for an extra fee. Please inform Paloma Beach Apartments of your expected arrival time in advance. You can use the Special Requests box when booking, or contact the property directly using the contact details in your confirmation. Swimming pool water looked a little murky green and not so inviting (although importantly perfectly clean). The bedding kept coming out and got very crumpled. Super location and fantastic staff! The apartment was excellent! Where the apartment was situated in the building a little noisy from the karaoke bar below , but earplugs worked for that . Well laid out very clean apartment, towels changed every few days otherwise we were left alone to enjoy our holiday. Would definitely recommend paloma beach apartments especially if you want a quiet area yet town and promenade only 5 minutes walk! The property could do with an upgrade in amenities as they were dated.ie - DVD player ( Bluray/Bluetooth ).Shower head wasn`t very good and lights in bedroom not good for reading.Price of safe should be consolidated,not added as extra. Apt was very spacious and the beds were comfortable.Kitchen was clean,with fairly good amenities.The Tv had a DVD player which wasn`t connected,but I soon sorted this out.Overall I had a good experience. WiFi: it formally works but.. it doesn't work in practice: I was kicked out after a few minutes and most of the time pages (very simple straightforward pages, like newspaper) weren't even loading: it kept on loading and loading and loading). I was told to unplug and re-plug the black cable but that's not the point since someone already did it for me the day before. I ended up busying my own SIM card. I'm no expert but I believe that the router is simply too old AND/OR the bandwidth is too small for today's (standard) websites. Our apartment, number 140, has a great look, minimalistic and neat. However, the two twin beds need new mattresses, and the pillows were hard. I suffered with an aching back most mornings. The sofas are cheap and rock hard, most uncomfortable. The TV is far too small. Because it's a spacious apartment, the TV echoed all over, even tho we put a blanket under to try and absorb the sound. WiFi was good. (Other apartments may be differently furnished because ours was privately owned) The apartment is close to the swimming pool, so it's noisy. A mile up a hill to the bus station, no buses go past the apartments. The apartments are in a great position, nice and quiet away from the strip in Los Kristianos so a decent walk to the promenade. 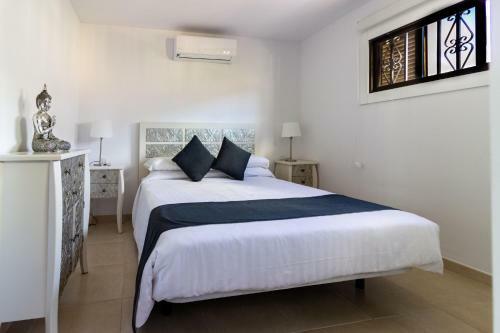 Spacious apartments, good WiFi, lovely communal area with heated pool (24°), convenient bar/cafe near the pool. Scooters/buggies to hire! Have stayed at Paloma on a number of occasions and even though we upgraded to superior we still never got sun on the balcony, very disappointed. Might need to consider somewhere else !! !